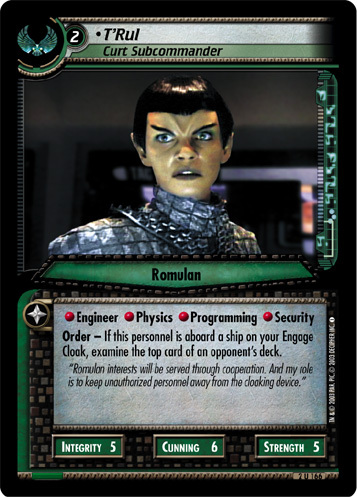 Order - If this personnel is aboard a ship on your Engage Cloak, examine the top card of an opponent's deck. 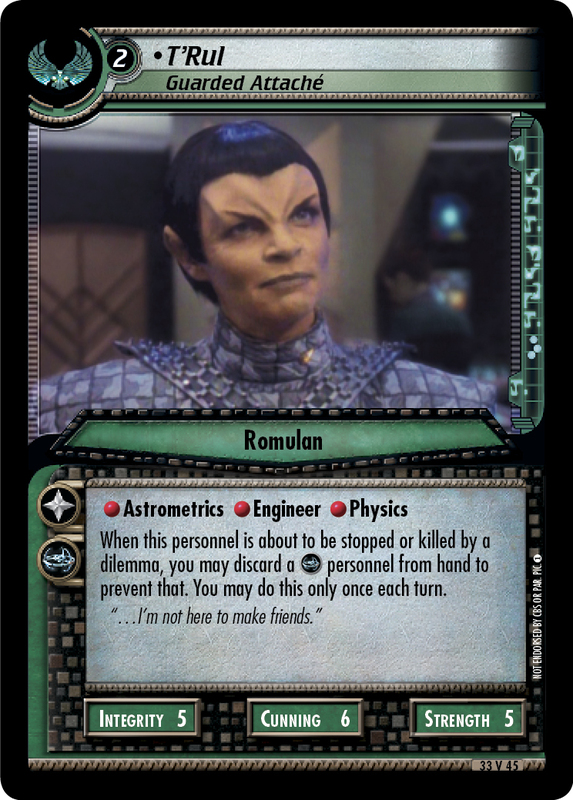 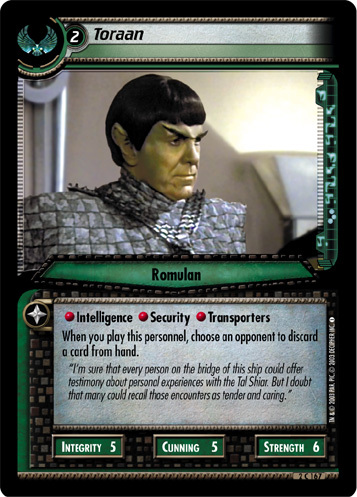 "Romulan interests will be served through cooperation. 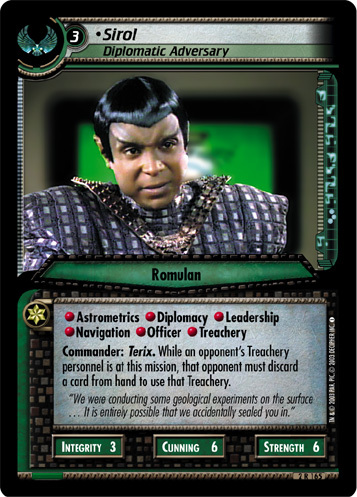 And my role is to keep unauthorized personnel away from the cloaking device."